I've spend an hour to understand how to render user login form and user register form in Drupal 8 to print them in a custom place. Here is the solution. Lets say you want to print those two forms in a custom place on your page (in a popup in my case). Creating a user account is one of the most important task in a web page. In the next example we are creating a user account with the values given in a form. 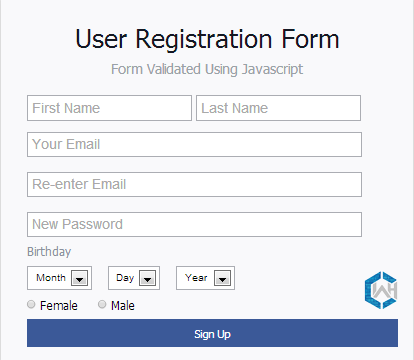 I try to build a custom registration form which should be displayed in a custom block and I don't want to insert the normal registration form and alter it via a hook or use an extension like form_block, because I want to learn the ways how drupal 8 works with forms. The way that forms are defined in Drupal hasn't changed that much between Drupal 7 and Drupal 8, and I'm not going to go into too much detail here. Form definitions are still a Drupal render array made up of Form API elements that are ultimately parsed down to the HTML that is presented to the browser. Forms are defined as classes that implement the \Drupal\Core\Form\FormInterface and are built using the \Drupal\Core\Form\FormBuilder class. Drupal provides a couple of utility classes that can be extended as a starting point for most basic forms, the most commonly used of which is \Drupal\Core\Form\FormBase .